Tony Blair has signed a contract to advise Serbia’s prime minister, 16 years after the two were on opposite sides of the Balkan conflict. Former British PM Blair was instrumental in NATO airstrikes against Belgrade. 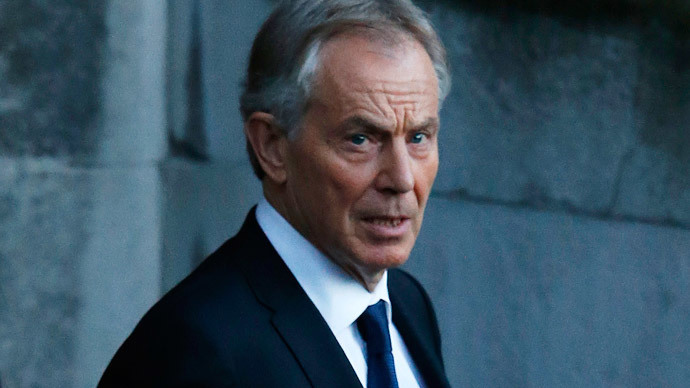 Blair will work for PM Aleksandar Vucic, Slobodan Milosevic’s information minister at the time of the Kosovo conflict. Vucic had previously been an outspoken critic of Blair. He was listed as an editor of the 2005 book ‘English Gay Fart Tony Blair’. The deal was paid for by the United Arab Emirates, according to Serbian officials, which has raised doubts over Blair’s ability to operate as a neutral envoy in the Middle East for the Quartet – the UN, US, EU and Russia. She said the advisory role would not affect Blair’s work in the Middle East. Blair and his team have reportedly made regular visits to Belgrade in recent months, including for a lecture by Alastair Campbell at the end of January. Campbell was Blair’s Director of Communications and Strategy between 1997 and 2003. Blair supported the Albanians during the Kosovo conflict. In 2013, he agreed to help Albania join the European Union, reportedly at no cost to the Albanian government. “The orientation toward Europe is immensely important, and personally I'd love to see this country join the family of European nations,” he said.